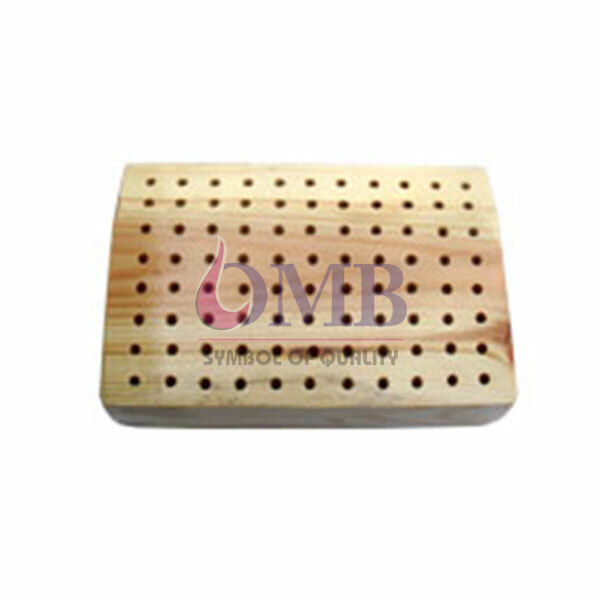 Wooden Bur Block Handy Block Varnished wooden block for storing burs. The sloped upper surface staggers the rows of burs like seating in a theater. This makes it easy to view the profiles of the burs in each row.